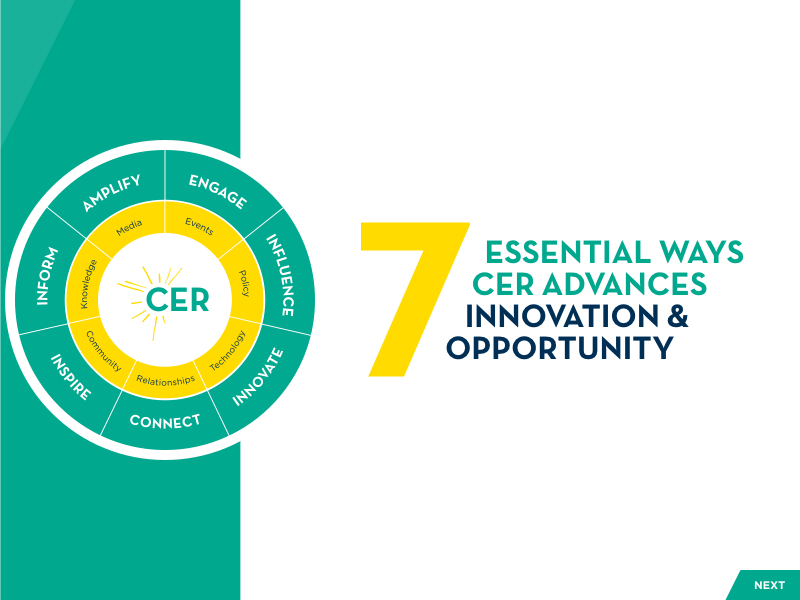 While countries around the globe are evolving and retooling to capitalize on innovation and the rapidly changing landscape of careers, the U.S.—burdened by bureaucracy and a century-old infrastructure—has stagnated. 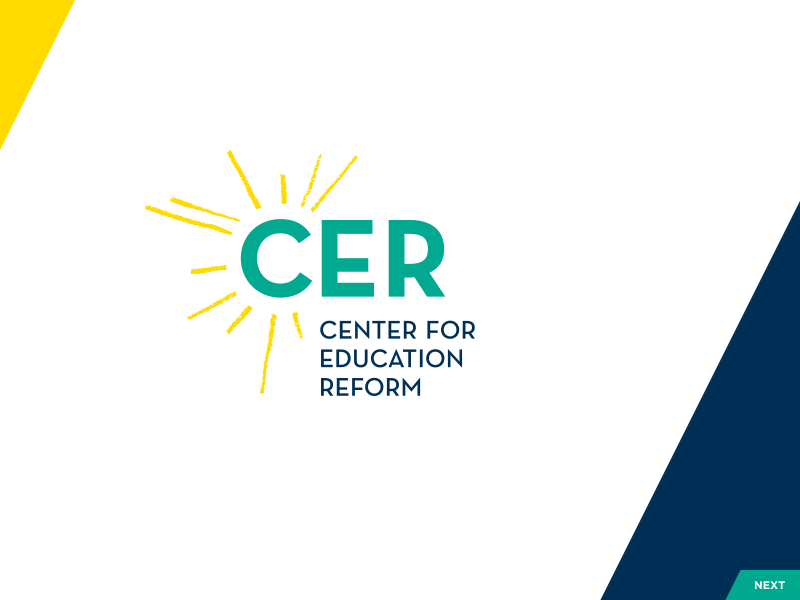 It’s been happening for decades now, and the chasm is getting wider. 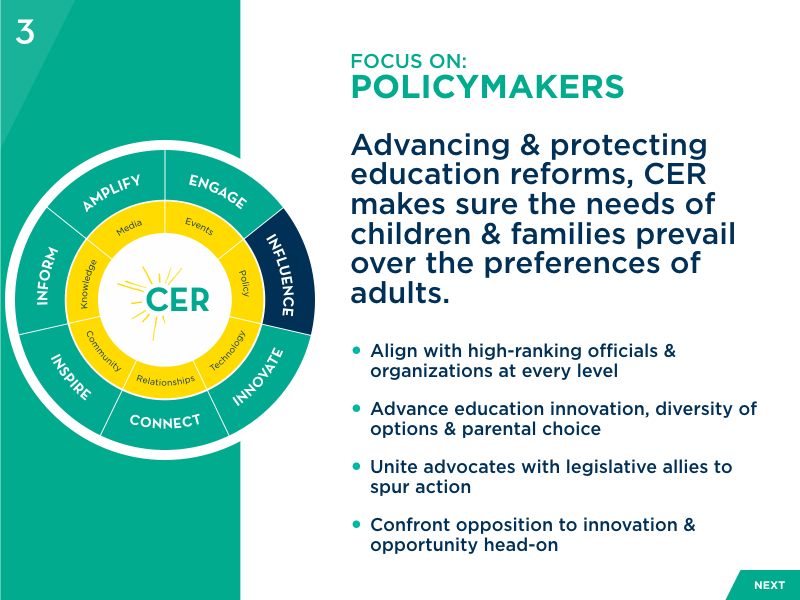 These disturbing trends prompted Jeanne Allen to establish The Center for Education Reform—the first of its kind—back in 1993. 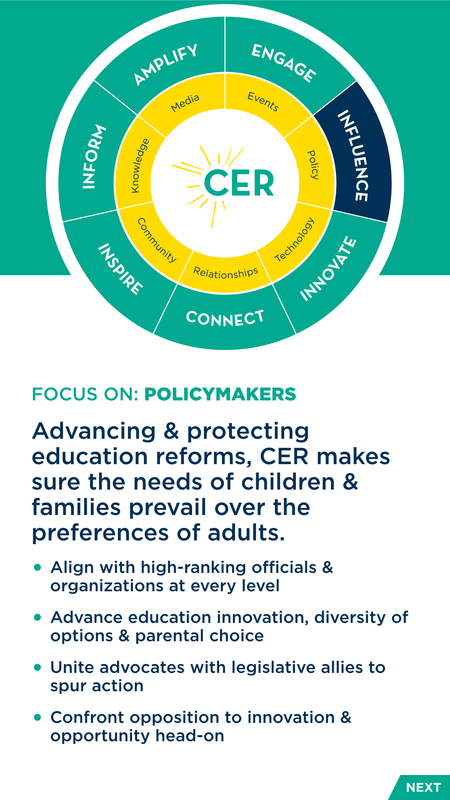 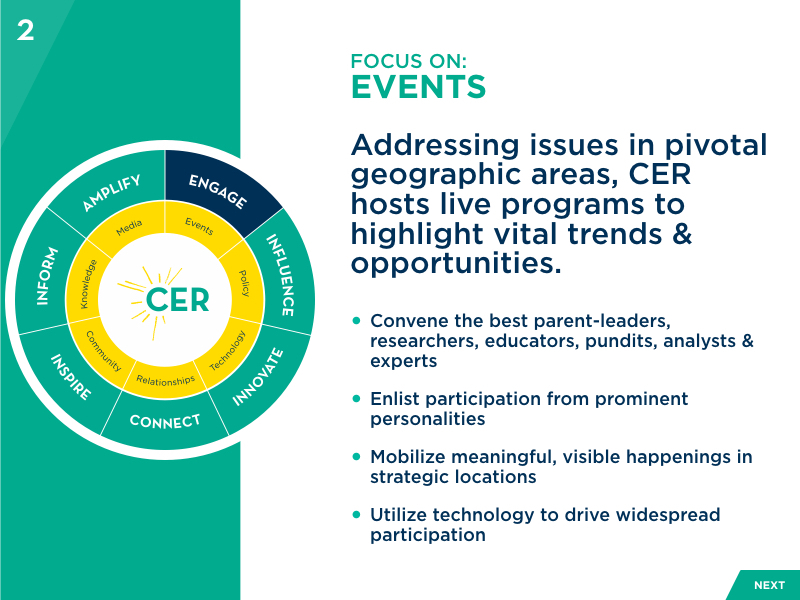 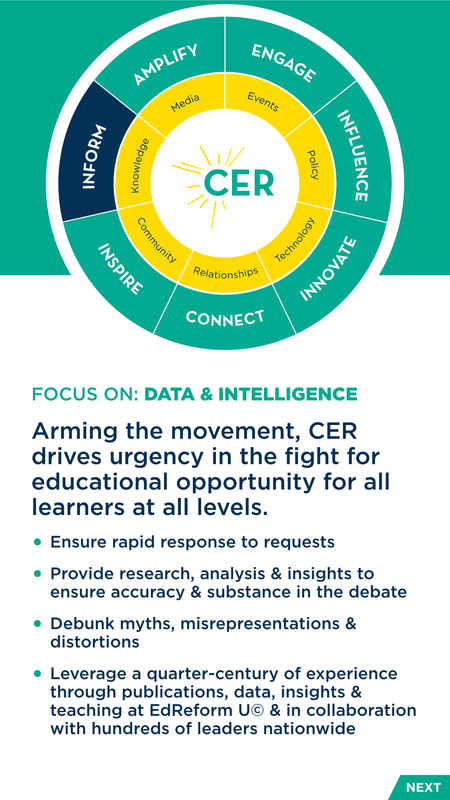 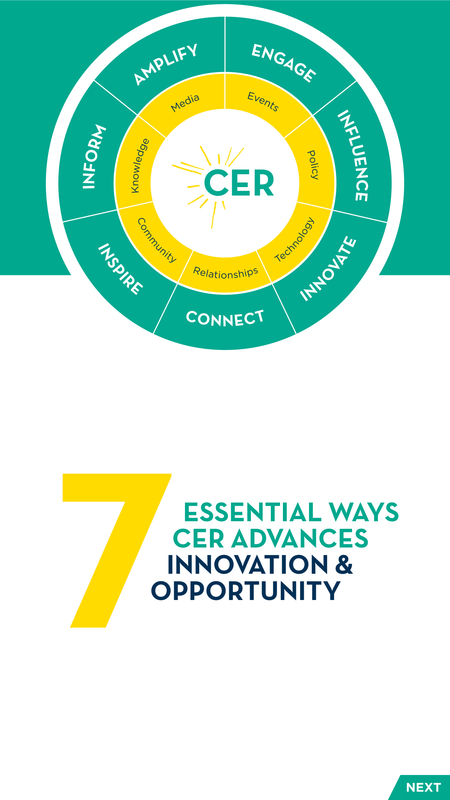 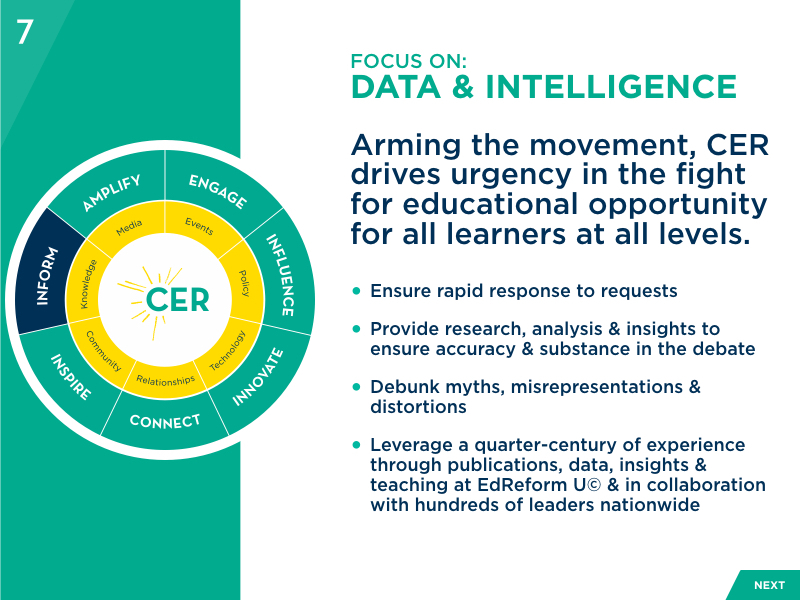 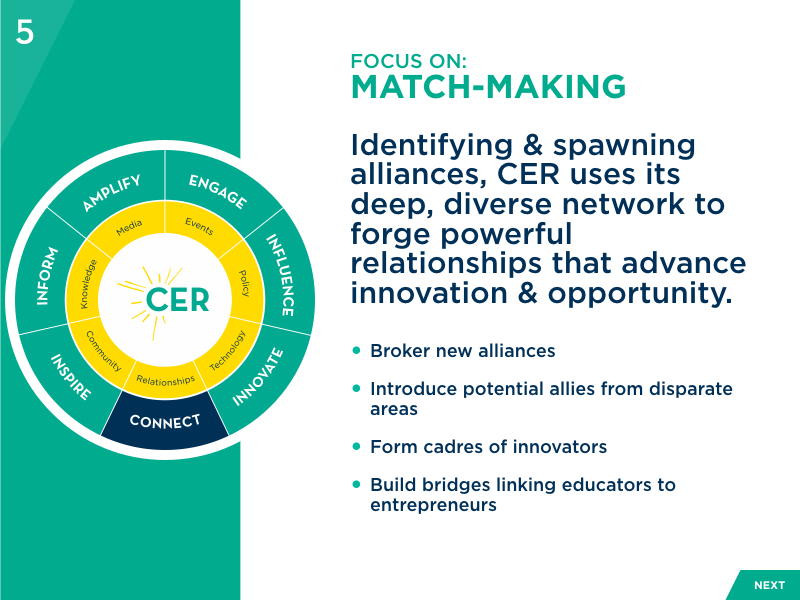 Nearly a quarter century later, CER continues to fight this all-important fight, boldly leading the charge on the street, into town halls, up the Capitol steps and across its aisles. 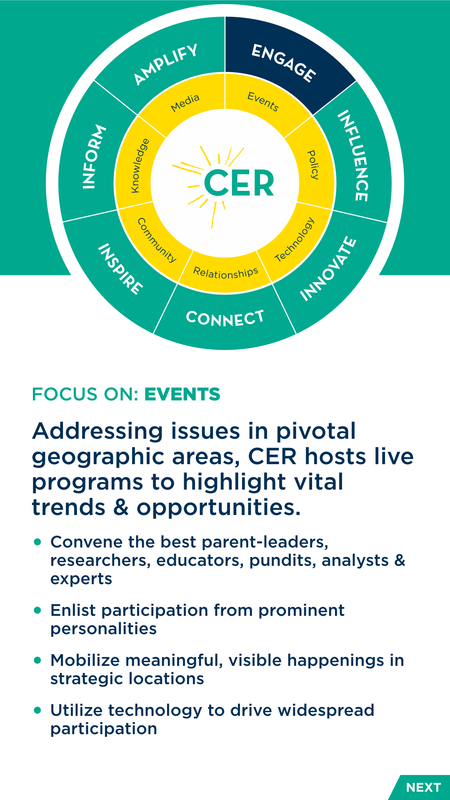 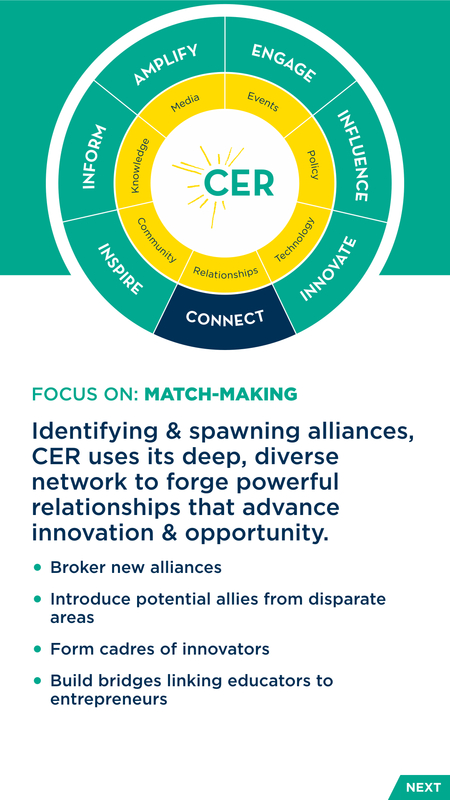 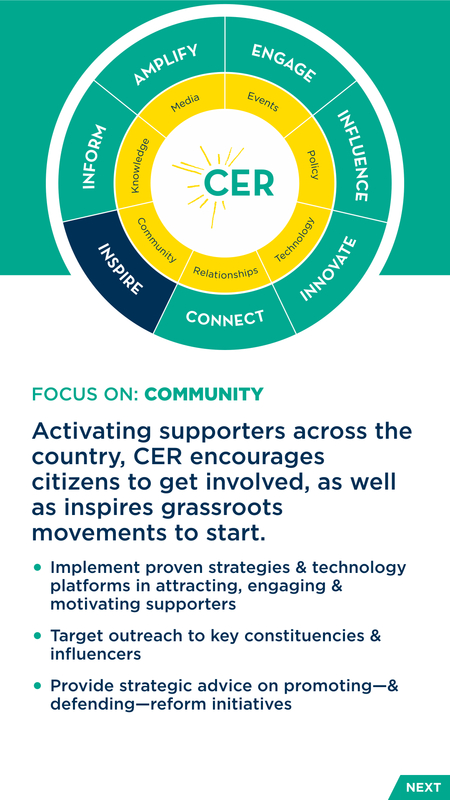 Anywhere there are votes to be cast, stories to be told, alliances to be forged, and communities to be mobilized, CER eagerly joins the fray. 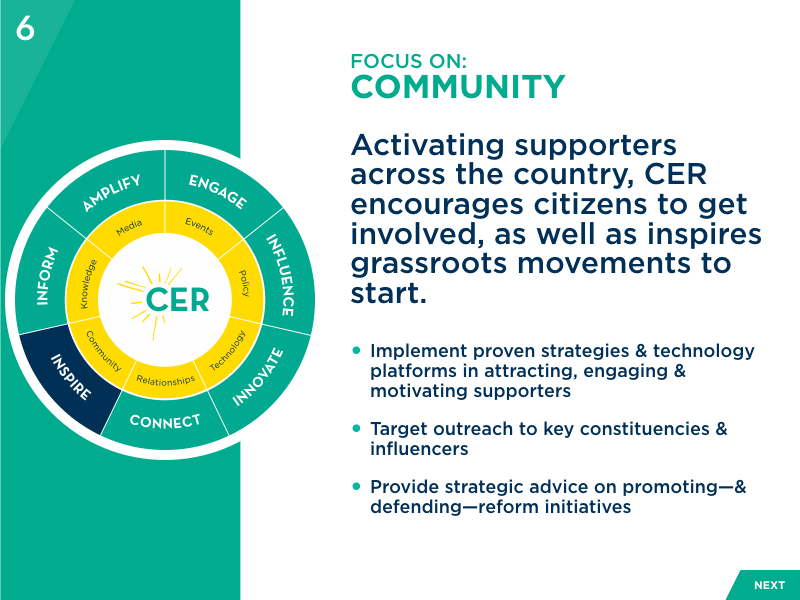 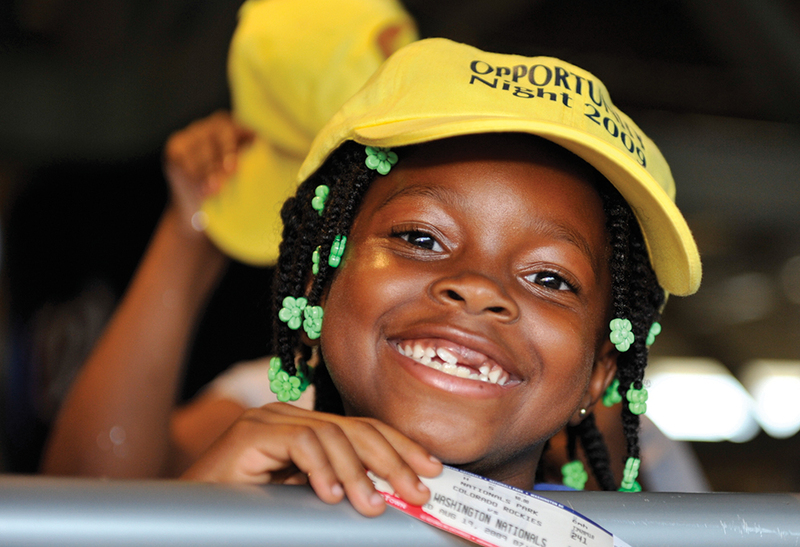 We put our experience, our network, our assets, and our passion to work for the cause. 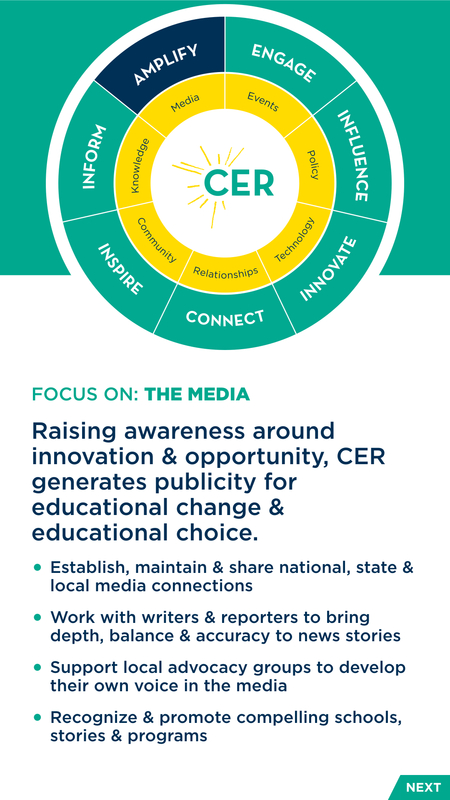 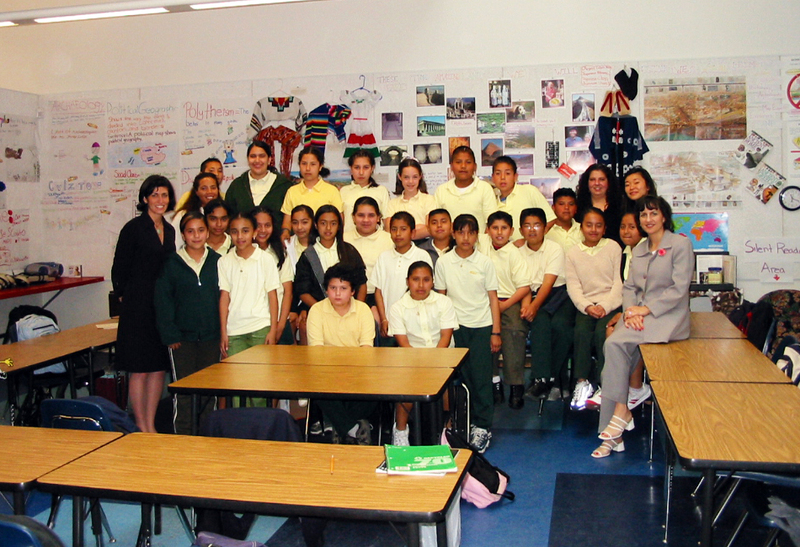 Whether we’re steering media outreach to generate publicity, producing events in pivotal markets, interfacing with lawmakers, or connecting innovators and their products with investors and schools to accelerate their impact, our mission is simple: to give learners at all levels the opportunity to shape their education. 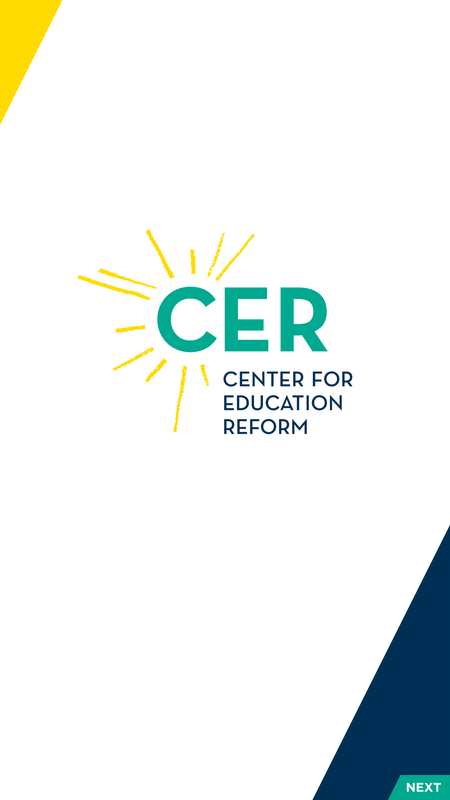 The citizens of the United States deserve freedom, and access, and input. 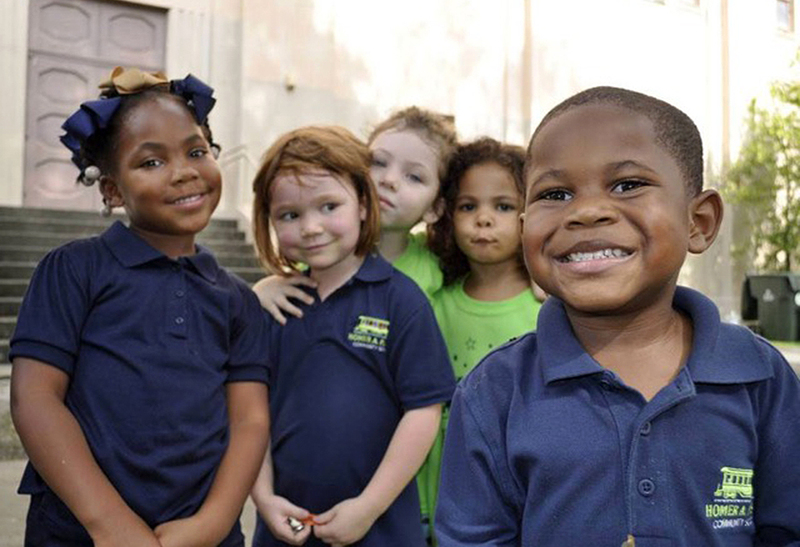 Only by achieving that will we restore excellence to education, maximizing everyone’s potential success, regardless of the circumstances into which they’re born. 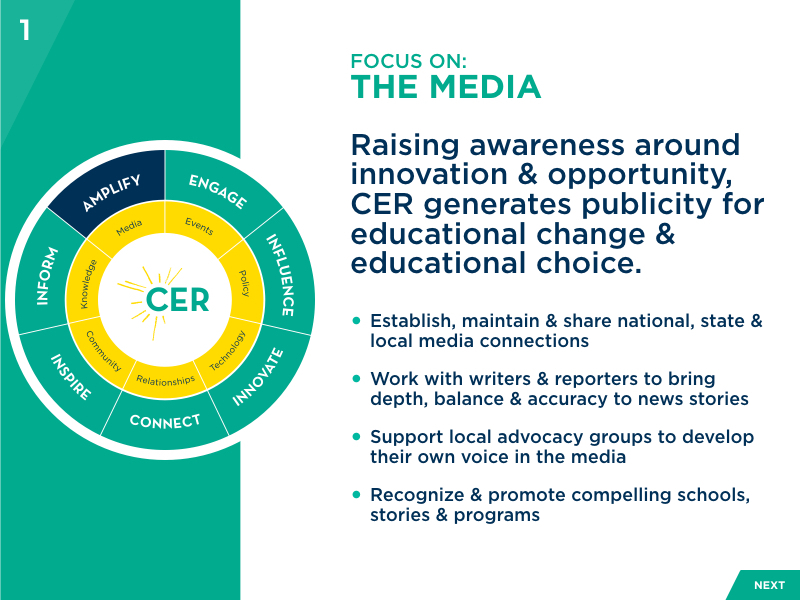 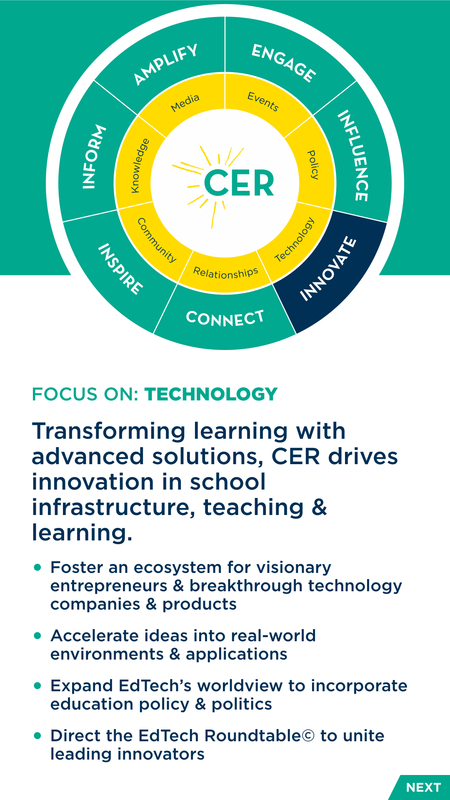 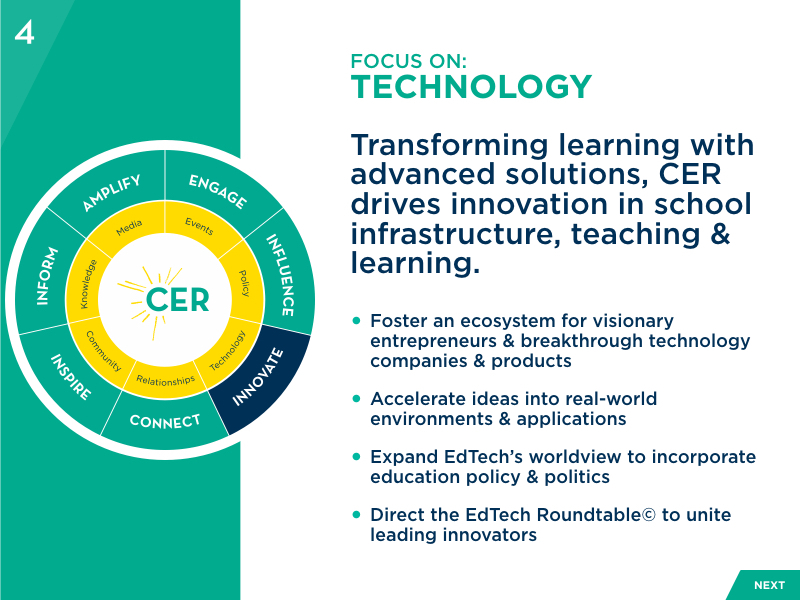 © 2019 Center for Education Reform, all rights reserved.